Borussia Dortmund’s veteran shot-stopper Roman Weidenfeller had a stand-out performance at the Estadio Santiago Bernabeu, twice denying Cristiano Ronaldo to help Die Schwarzgelben top UEFA Champions League Group F.
Weidenfeller only costs 3.8M in Official Fantasy Bundesliga. Snap him up here! Question: Roman Weidenfeller, was this one of your best games for Dortmund? Roman Weidenfeller: I’m not sure, but I certainly felt incredibly comfortable, being here in this stadium and also being here with my team. We tried to defend well from the first minute, even if we weren't completely successful over the 90 minutes. I just had a better feeling on the pitch than in some recent games. Question: When you beat Legia Warszawa 8-4 at the SIGNAL IDUNA PARK two weeks ago, you were one of the few who could not celebrate the same way as the rest, having conceded four. Did you take any extra satisfaction from this game in the Bernabeu because of your own strong performance? Weidenfeller: In the game against Warsaw everyone was happy, but you are right, I was less so. I have to say that game was really not satisfying for me. This is why it is so gratifying that we performed so well in the Bernabeu. You could say that every game I get is like a personal Christmas present to me. Question: Were you particularly motivated because it was in the Bernabeu against Real Madrid or were you rather tense? Weidenfeller: For me games like this are a special challenge. I honestly have to say, I have no stage fright even before such games, but I look forward to these games and the atmosphere in particular. In clashes like these, against the best teams in the world, one's entire career can be defined. That's why I really enjoyed being out there on the Bernabeu pitch. Question: Dortmund No1, Roman Bürki, has been hurt for several weeks. Now you're back in the goal. How does it feel to be able to back in BVB's rear guard? Weidenfeller: You could perhaps say that every games I get is like a personal Christmas present to me. Perhaps I gave myself a present today. Everyone who knows me knows how much I love to play football, whether it's in the Bundesliga or in the Champions League. It is just a lot of fun to play for Borussia Dortmund. I also cope well with the younger generation of players and can adapt very well, so things are very good just now. We cannot pick and choose. We are prepared and focused for everything. Question: Why do you hold the Camp Nou in such high regard? Weidenfeller: I played at the Camp Nou as a youth team player and it would be great to get the opportunity to play there again, or simply just to be there. Question: A semi-final against Lionel Messi and Co. would be nice? 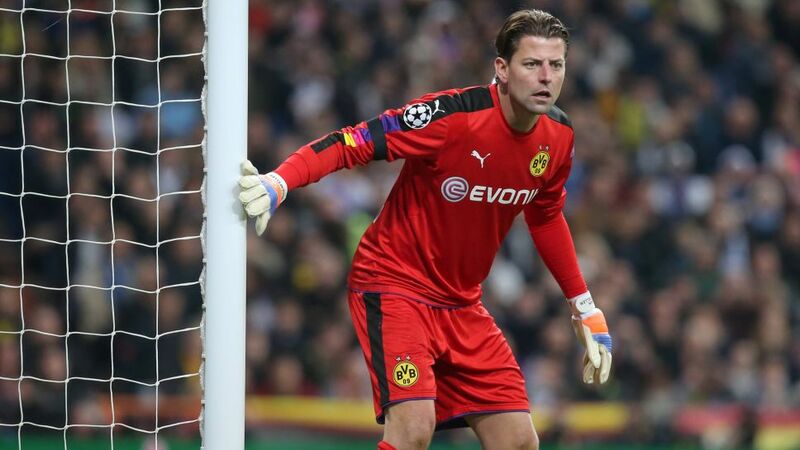 Weidenfeller: Let's wait. We cannot pick and choose. We are prepared and focused for everything, we know that we have to continue working on our game and improve things in certain situations. Not everything has gone our way but we have a young team and can improve.